It was such a fun event to do a blindfold taste test of Kenny Rogers' Chicken Garlic Butter Roast. Media guests were ask to sit down, blindfold themselves and made to wait on what's going to happen next. Aptly called Kenny Rogers' Awesome Sensessions, the lost of sight while blindfolded heightens the other senses like hearing and sense of smell. During the entire time that we are blindfolded, the voice of Solenn Heussaff-Bolzico was heard, guiding, teasing, and really making sure that we get excited of what's about to happen. After a few minutes, we got a whiff of the roast chicken with its garlic and buttery smell. We were then told to find the fork in front of us (yes, we were still blindfolded) and take a bite. 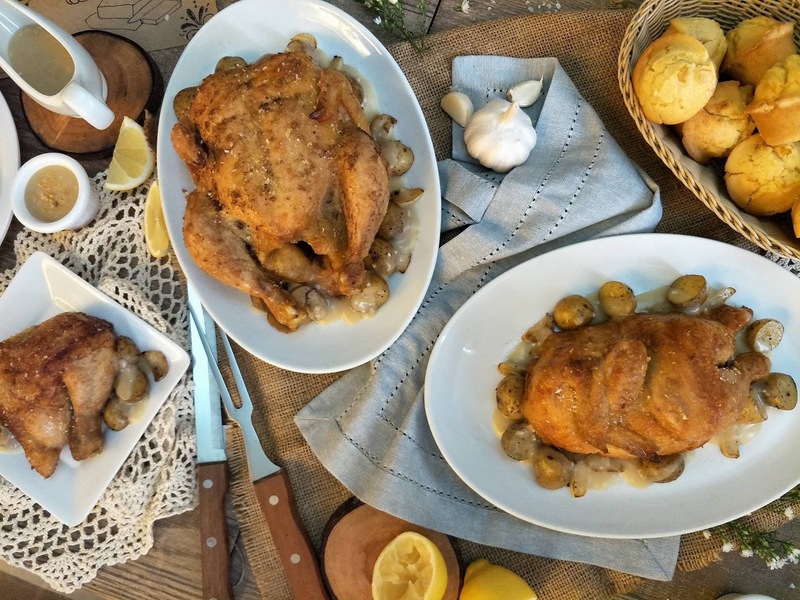 That's a bit difficult since we're blindfolded but we were able to hurdle the challenge and was rewarded by and tender and flavorful piece of roast chicken. After that first bite, we were told to remove our blindfolds and was surprised to find Solenn and husband, Nico Bolzico joining us for lunch and answered a few questions thrown by the media guests. Solenn and Nico are the perfect ambassadors for Kenny Rogers' Roasters Philippines. Their sizzling relationship got everyone hooked, thus, they were the perfect couple to endorse the newest Chicken Garlic Butter Roast of Kenny Rogers. 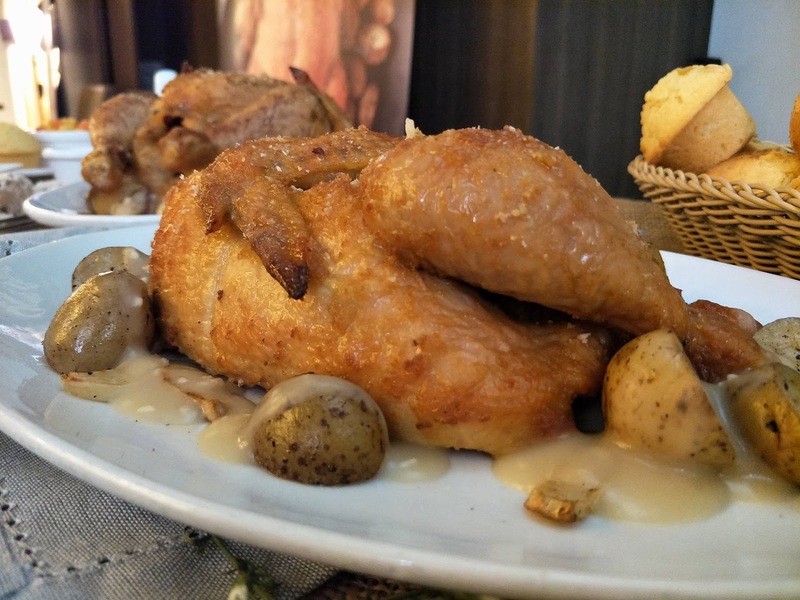 Kenny Rogers' Chicken Garlic Butter Roast is quite different from the usual roast chicken served by the restaurant. This new chicken is moist and juicy, tender and really, really flavorful. Perfect with rice, or veggie sidings, or in my case, I like it paired with mac n' cheese. Yummy!